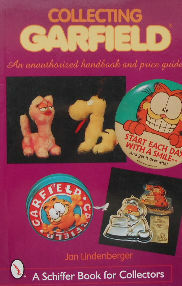 This is a handbook and price guide to Garfield collectibles. 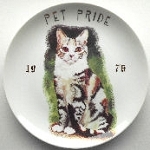 There are Garfield collectibles in the kitchen, toys, ornaments, jewelry, figurines, lines and more. Color photographs throughout. Paperback, 6" wide x 9" high. Copyright 2000, 144 pages. Note: This book weighs just over 1 pound. Previously owned but in good condition.